The new Lucky 7s disc, Pluto Junkyard, is now available. Follow this link to hear samples or buy a copy. I’m very proud of this CD. Please check it out, I think you’ll dig it. We are into the second weekend of Jazz Fest, and I still haven’t written anything about the first. Here’s the quick and dirty recap. Last Thursday night, George Porter Jr and the Runnin’ Pardners kicked things off at Southport Hall. We don’t get to play together too often, but every time we do, it is a real treat. That night was extra special for some reason. Everyone was playing great, and we all had lots of fun. I’ve been playing with that band for 6 years or so now, and still at least once per gig George and Russell do something that is so bad that I have to put my horn down and laugh (or scream or something). It is nights like that, that remind me how lucky I am to do what I do. Saturday was a totally new experience for me. I volunteered at one of the Jazz Fest beer tents (well they sell soft drinks too, but mostly beer). The Band Booster Club for my step son’s high school band works at this drink tent to raise money for the band. That’s a side of Jazz Fest that I hadn’t imagined, and it was fun. When you are at the Fairgrounds, be nice to those folks, they work hard. While hauling the 40 lb bags of ice was fun, the highlight of my beer tent time was working the station near the Fais Do Do Stage during the Del McCrory Band set. Those guys were SLAMMIN’. Tuesday night, my quartet played at the Open Ears, and we had a great time. My old buddy Charlie Wooton was there and played a bit. He and I, and the Italian drummer Marcello Bennetti played a nice trio. Of course Ray, Dave, and Tommy sounded fabulous as always on the quartet stuff. There should be audio evidence on the Open Ears site…eventually. Today, I was at the Fairgrounds, playing the Economy Hall tent with Ronnie Kole. I have to give some props to the sound crew in that tent. The stage sound was excellent, and people told me the front of house sounded good too. That’s not always a given at Jazz Fest, so thanks guys. I caught a little bit of Kidd Jordan and Clyde Kerr with the Louis Armstrong Summer Jazz Camp Alumni Band. Kidd and Clyde have taught at that camp for years. It would have been cooler if Kidd would have had his own band. I understand that they want to show Kidd enough respect to have him play, and they aren’t brave enough to give him a whole set, but he is so much better in the right setting. He never plays halfway, so to stick him with a group that only halfway goes where he is going is lame. His set 2 years ago with Clyde, Alvin Fielder, William Parker, and Joel Futterman was great. I wish they’d program that again. After our set, I caught a bit of the George Wein Newport All Stars. 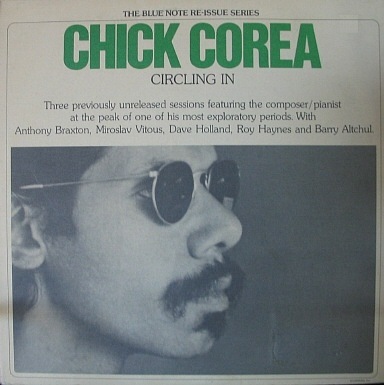 Besides Wein on piano, it was Randy Brecker, Anat Cohen, Howard Alden, Esperanza Spaulding, and Jimmy Cobb. They did mostly tunes that were not quite as old 40 years ago at the first jazz fest in New Orleans. I’d never heard Esperanza Spaulding on anything other than her record. She sounded good. Her bass playing was right there, and she sang “Prelude to a Kiss” with an anything but straight delivery. I had heard a lot about Anat Cohen, and heard a few recordings, but today was the first time I heard her live as well. I enjoyed what she played. Despite the safe repertoire, she didn’t stay in the safe spots. Click the link above and check out the streaming previews. Pretty happening. I’m about to be late for a gig because I don’t wan to turn it off. Yesterday morning I read on several blogs that it was National Record Store Day. I had two gigs in the quarter with time to kill in between, so I went browsing at La. Music Factory (which come to find out wasn’t one of the participating stores, but oh, well). I went whole hog on the “record” part and even bought vinyl. 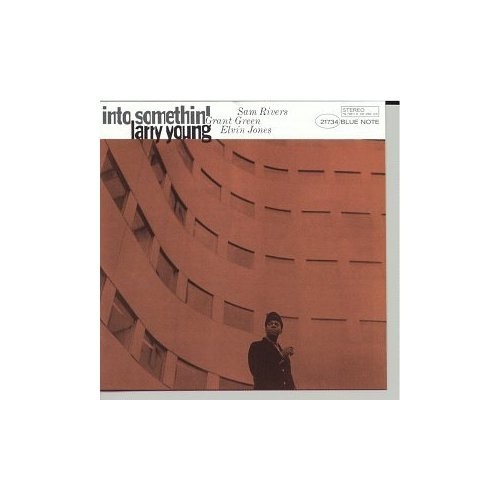 I got a used copy of Chick Corea “Circling In” and a new copy of Larry Young’s “Into Something” for $9.99 each. Follow the link below to see a cool new treatment of one of my favorite Industrial Jazz Group songs. The video is funnier if you know the context, so follow the other links in the post first to become well informed (if you aren’t already). “As a woman of reasonable drive and sanity, I try not to spend too much time on Facebook. I’ll log on weekly to see which friends have a birthday approaching (felicitations, Peter and Lars) or to post an update. And for a while I really liked that Slayers game, Zombies Must Die! But lately I find myself forced to visit the site for an uncomfortable purpose: declining ‘friend requests’ from actors, directors, playwrights and publicists. This is an interesting dilemma. I am getting to the point that I don’t necessarily see a Facebook Friend Request so much as a request to be my “friend” as much as a request to have approved communication. More and more I am finding people that have my email address, and phone number, and mailing address (it’s all on my website) using Facebook (or MySpace) messages to contact me. The addition of another layer of technology is mildly annoying, but it seems to be a somewhat necessary annoyance. Apparently this is how people want to communicate, and if I want to be accessible, I need to be accessible there. Thoughts? Leave a comment, or email me…or friend me so we can message each other. 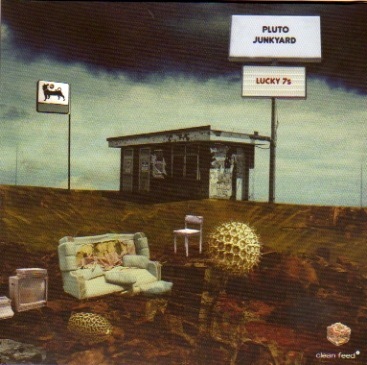 On a related note, Clean Feed is due to release the next Lucky 7s CD, “Pluto Junkyard,” on April 21. If you are new to my ramblings, the Lucky 7s is a band that Jeb Bishop and I co-lead, that also features Josh Berman, Keefe Jackson, Jason Adasiewicz, Matthew Golombisky, and Quin Kirchner. PS if you can’t make it, please send a sub…. Ok, things are changing, but the transition is far from complete. I stumbled across this video on Jacob’s MySpace page today. I’ve got this CD, and have liked it since I got it, but seeing them perform this piece, really helped me understand the structure. The trombone dork in me is trying not to go into a long post about the cool old tuning-in-the-slide Conn that Jacob is playing, and how fabulous he sounds on it. I’ll shut up, just watch and listen.